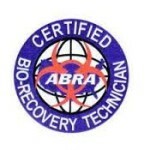 Capital Restoration Cleaning is the disaster recovery unit of Capital Facility Services and we are proud to announce that our restoration division is now certified by the American Bio-Recovery Association to perform trauma and bio-hazard cleaning. This certification was achieved on completion of the Jena Dyco Crime and Trauma Clean Up Course held in October 2015. Our bio-hazard and trauma cleaning services are available 24/7 with an estimated 1 hour response across Melbourne.